Most children I know really love to decorate cookies! In fact, last year I realized that my nieces and nephews would probably rather decorate their own cookies, then receive a cookie I decorated for them. But of course the Christmas season can be a very busy one, and often baking cookies, making icing, and gathering all the supplies needed is just one extra chore. 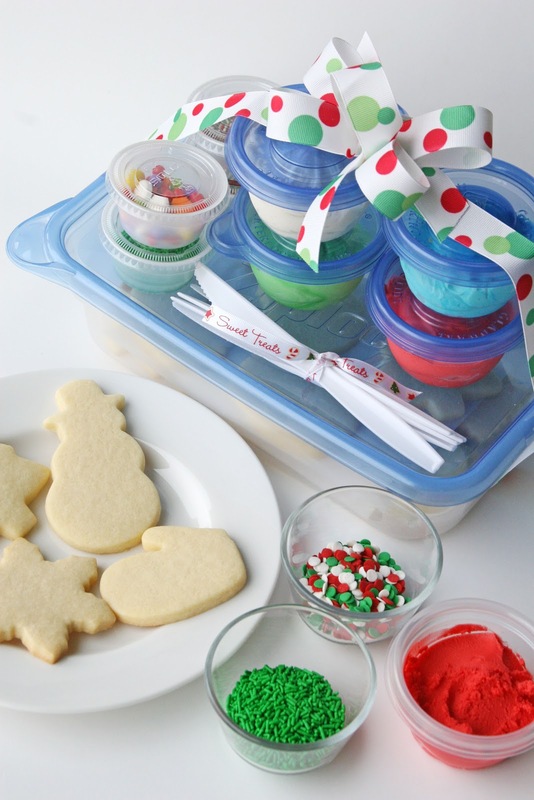 Last year I thought I could give a special gift to the kids in our family by creating ready to go cookie decorating kits. I spent a day making cookies and icing, and then packaged all of the supplies together, so that the cookies could be decorated as a special (and easy for the moms) Christmas activity. I think this could be a great gift to the families in your life with young children. When I made these kits up, I made one for our household too, and it was great to pull it out on Christmas Day (a day my husband usually works), and do a fun activity with my girls. 1. 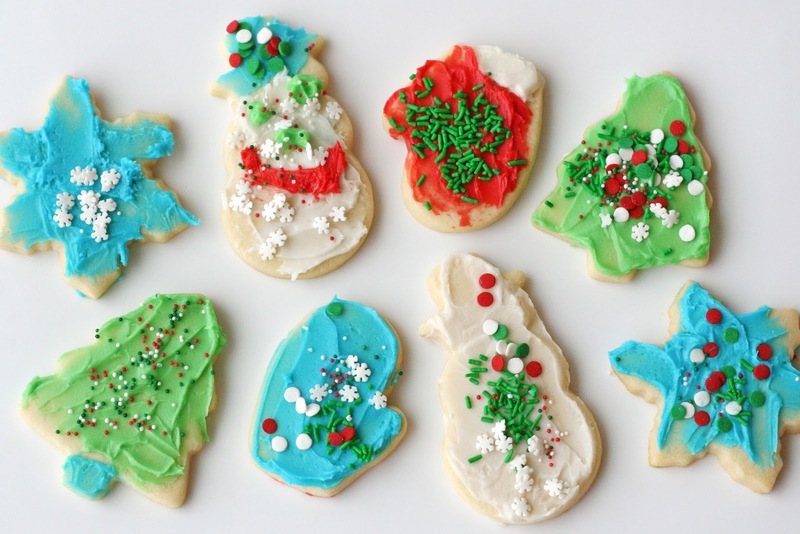 Prepare a batch of Sugar Cookie dough, cut out assorted Christmas shapes, and bake. 2. Once the cookies are baked and fully cool, layer then in a tupperware type container, with waxed paper between layers. Plan 3-5 cookies per child in the home. 3. Prepare butter frosting (Recipe below), and color as desired. I would suggest 3-5 colors total. Put icing into small plastic containers. 4. Add some sprinkles to the gift as well. I put sprinkles into little plastic dip containers (I picked up a few extra from a restaurant), or use small plastic baggies. You could certainly buy a few containers of sprinkles to include instead (I just happen to have more than enough sprinkles to share!). 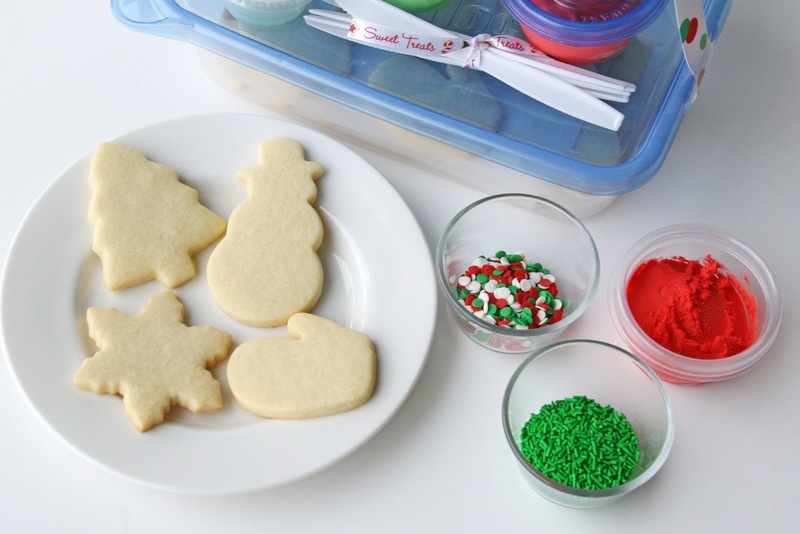 Include several different colors and types of sprinkles. 5. Package everything together. Include several plastic knifes for spreading the icing. I used a little tape to keep the smaller containers from moving around. You could wrap the whole kit in cellophane, or put everything in a pretty basket. 6. Give to a family you love! *Note, the baked cookies will remain fresh 7-10 days. I would recommend storing the icing in the refrigerator, then bringing to room temperature before use. Pour powdered sugar into a large bowl. Melt butter, then add to powdered sugar, and whisk to combine. Add vanilla. Add milk 1 tablespoon at a time, then stir, until desired consistency is reached. If you add too much milk, and your frosting is too thin, add more powdered sugar, 1/2 cup at a time. Add coloring as desired. These have precious charm about them. My first ever sugar cookies were decorated with this kind of frosting and kids love it! Such a clever idea! We have some family friends that would love this! Cant wait to get started on our own kits! What a great idea, I may have to steal this for our small family Christmas, if you don't mind! 😉 Thank You!! I've looked all morning and I don't think I get Hallmark…dang cable!! Hopefully someone will post a link so I can see you and Callye in all your Cookie Queen glory!! And I looove this idea for a gift. My son has so much fun cookie decorating! That icing sounds yumm! I am a little obsessive about my decorated cookies, so this is the perfect alternative for my kiddos! this is funny, but I can pick out the cookies Grace decorated, LOL! LOVE this idea!!! This is such a sweet idea! 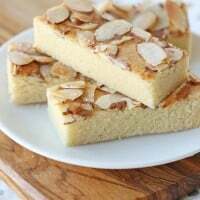 I think it would be great for someone who loves to bake, but maybe has trouble doing it due to arthritis or something. Such a fun activity for kids during the holidays! Love love love this idea!! Since I live in pioneer times I don't have cable so I'm going to have to catch your segment online SOON!!! Can't wait!! Wow you have perfect timing! I'm hosting a Christmas party at our house on Saturday, and had the idea to do cookie decorating as an activity for the children. I already made the cookies, they're sitting undecorated in a box. I was worried about messing with royal icing with kids (I decorated a bunch for everyone to eat yesterday and realized it's not so kid friendly) so this solves my dilemma! With the 100 things I need to do on Saturday, making up a kit like this beforehand is perfect. 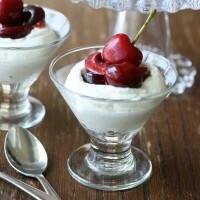 By the way I just found your blog a few days ago, and I love it! I love this idea! I'm going to do this for one of my girls' teachers who has 3 little boys! Yay! I'm so excited to give a kit like this to her! Thanks for the great idea, love you! I'm loving ALL the prizes but I could really use that martha stewart book & the cupcake liners. I'm so glad you and your cookie friends will be featured on Martha because your cookies are AmAzInG. Thanks for sharing this great idea for families to do and share. I love this idea! Congrats on the Martha show appearance. I have it recorded and will watch it soon! So clever, love this idea! I'll post a link on Edible Crafts. Can't wait to see the show! I don't get the Hallmark channel, but I'll definitely watch online. Glory, I couldn't find anything on your blog about sharing a link to your site- hope it's ok that I did on my blog! I have to try your buttercream, looks so easy to make, in compare with the regular one that you have to beat it. 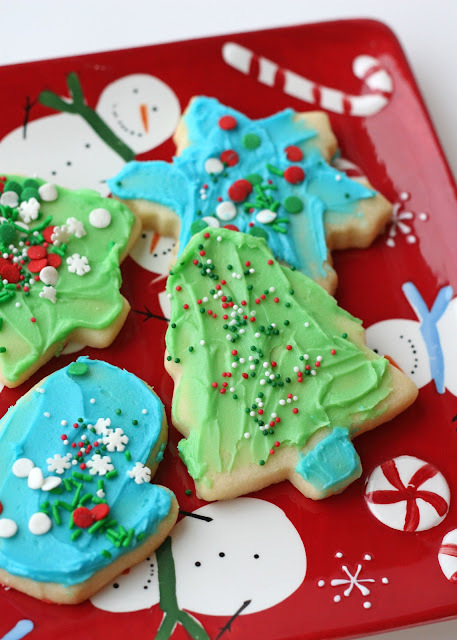 And this is a very nice and fun idea for kids, they love to decorate cookies. I am so honored to be the recipient of this gift — it was by far one of the most fun things I did with my girls this year — even my 1-1/2 year old got in on the action! Thanks Glory! Hi, I just made this frosting and I still have some left overs so I just wanted to know, how long does the frosting last? Thanks! Just keep the frosting covered, in the fridge and it will keep at least a week. When you’re ready to use it, allow it to sit out at room temperature a bit to be soft enough to spread/use. Although, i forgot to put the dough in the fridge before baking the cookies ,they retained their shape. 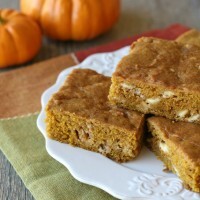 Also frosting is very good, easy to apply on cookies and it gets a lot firmer as time pass by have added little of almond flavor instead of vanilla in the frosting in order to reduce the sweetness (because the combination cookie and frosting seemed too sweet for my taste) and it worked perfectly! thank you for the great idea and recipes!